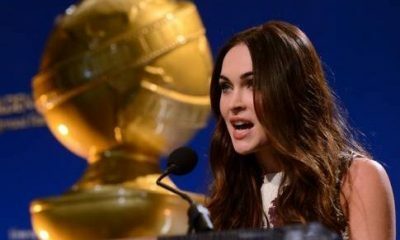 The 2011 Golden Globe nominations were announced this morning, and there were a few surprises to be found. The Hollywood Foreign Press Association even will take place on Sunday, January 16, 2011, at 8 PM EST, 5 PM PST on NBC, hosted by Ricky Gervais. Josh Duhamel, Katie Holmes and Blair Underwood have joined forces to announce them. Best picture in a drama featured Oscar contenders Inception, The King’s Speech, The Social Network, Black Swan and The Fighter. Best picture – musical or comedy included a strange mix of critically lambasted blockbusters, misfires and one lauded Sundance title as Alice in Wonderland, Burlesque, The Kids Are Alright, Red and The Tourist were honored. The King’s Speech lead all films with seven nods including best picture, actor (Colin Firth), supporting actor (Geoffrey Rush), supporting actress (Helena Bonham Carter), director (Tom Hooper), screenplay and original score. Check out the full list of nominations below and let us know what you think.